Built to provide crane operators consistent reliability and production, the Galion 150FA excels in the toughest working environments. A trusted name in rough terrain cranes, Galion's offerings are designed to get the job done in a variety of climates. Equipped with a 60 feet maximum boom length, the Galion 150FA outputs stellar performance while able to lift up to 15 tons. Its compact nature allows crane operators to travel easily between job sites without the need for oversized transport trucks. Throughout the years, the Galion 150FA has been a constant in the rough terrain crane market by continuously providing reliable service in an efficient and compact package. With the ability and range to work in the toughest of conditions, it's no wonder the Galion 150FA has been a mainstay when businesses are in need of a reliable rough terrain crane. Its versatility allows it to be quickly deployed and perform in an instant. Unlike larger crane offerings capable of giving businesses a logistical nightmare, the 150FA's simple yet proven design has made it a favorite among crane operators. 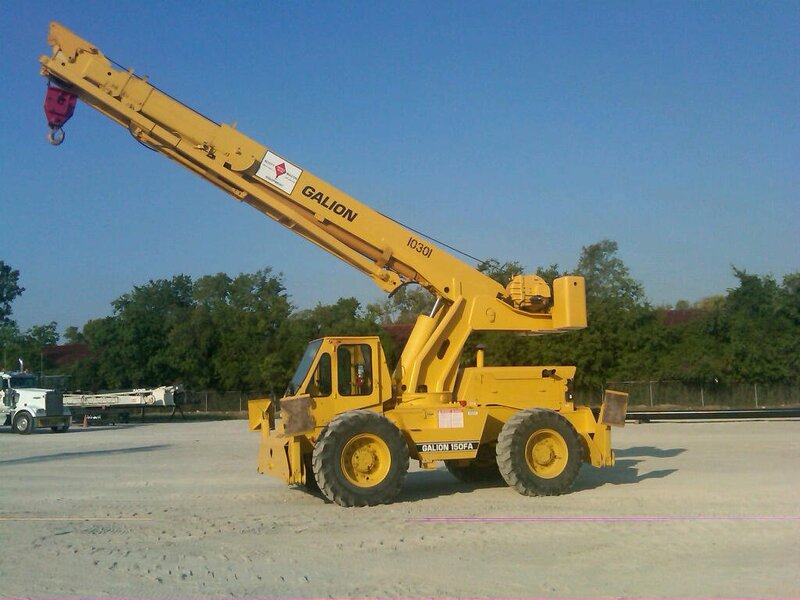 Galion has built tough cranes and construction equipment for businesses, and the Galion 150FA continues the trend. 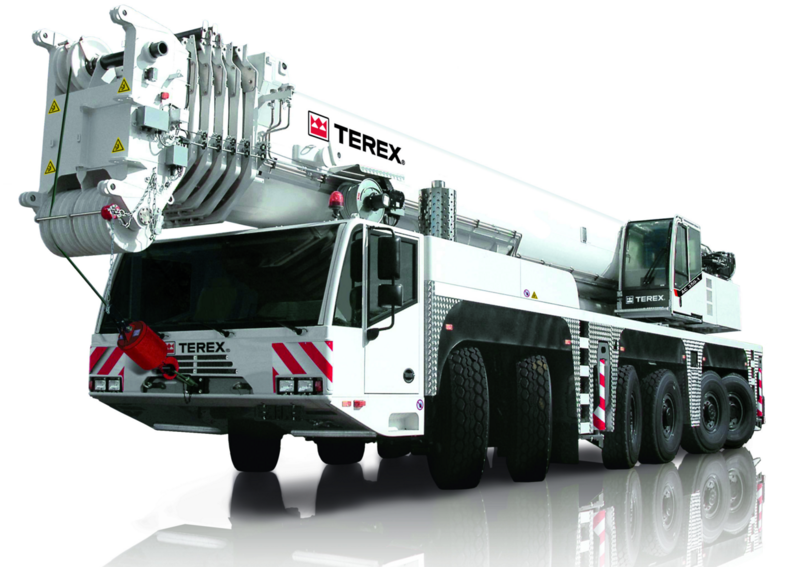 The Terex® AC350 is an all-terrain crane offering maximum productivity and flexibility. Built to work in the most jobsites, the Terex® AC350 adapts to your changing work environments. It's maximum capacity of 400 tons gives it the power to meet a wide range of lifting needs and functions. Rated as a Terex® big crane for all jobsite possibilities, the AC350 is built for all job possibilities due to its transporability and serviceability. In its pursuit to create the best all-terrain cranes, Terex® engineered the AC350 to offer the flexibility modern businesses and workers deserve. Its ease-of-use and roadability allows it to be quickly transported between jobsites. The AC350 is made for heavy-duty work across the most demanding industries.